An intellectually sharp, satirical farce about Brexit that lacks savagery. Robert Khan and Tom Salinsky’s follow-up to previous Fringe hit Coalition tackles the biggest shift in recent British history with a quintessentially British form: backroom political satire. After the exit of "Matron" (AKA Theresa May), new Conservative Prime Minister Adam Marsters (Timothy Bentinck), has somehow to complete the final stages of Brexit without alienating the left or right of his party or—most key to him—jeopardising his career. 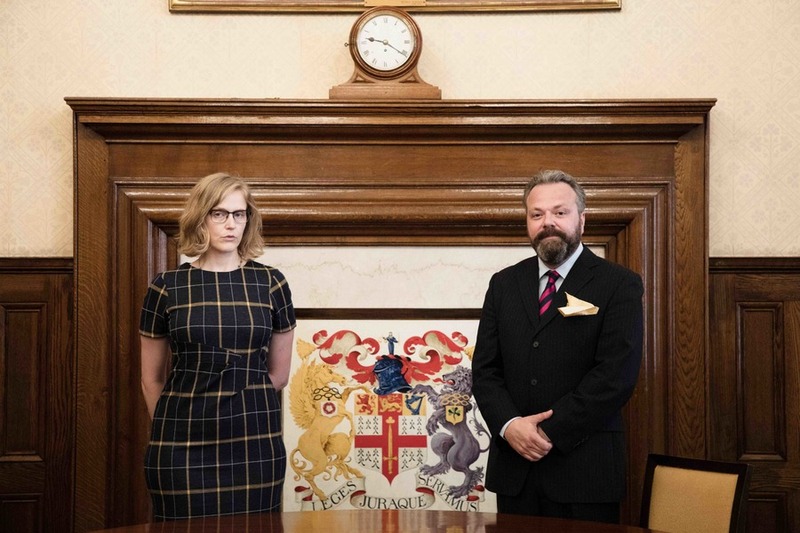 The play steers into Yes, Minister-style farce as Marsters, immediately seeking potential scapegoats, sets fanatical, Jacob Rees-Mogg-esque Leaver Simon (Hal Cruttenden) against crusading Remainer Diana (Pippa Evans) as Trade and Brexit ministers. Khan and Salinsky’s writing is snappily funny as it exposes the posturing and policy fantasies that paralyse the venal, self-serving Marsters as he tries to appear decisive without actually taking any action at all. Meanwhile, the EU—represented by Jo Caulfield’s chief negotiator—wryly checks its watch. The cast—which includes Mike McShane as Marsters’ deeply suspicious, erstwhile campaign manager—play their roles at full tilt as the drama snowballs towards its ironic conclusion. The humour is intellectually caustic, but feels cosily familiar. Brexit successfully highlights the dismal absurdity of post-referendum negotiations, but you may find yourself yearning for a Malcom Tucker-style character to spit some truly venomous bile across the wood panelling of the set. Ultimately, there’s a kind of afternoon BBC Radio 4-ness to this production that, while sharp and well delivered, somehow lacks the proper savagery that the situation engulfing us warrants.